Usually when a popular new game hits iOS, the Android world can start its countdown for when said game will be released to Google Play. According to a press release that went out with Cut the Rope 2 for iOS, the Android version is set to launch “early next year.” We are used to waiting, so I think we can last another month or so. In Cut the Rope 2, our little friend Om Nom ventures out from his protective box, and begins to explore the world. He meets a whole bunch of crazy new characters, so it should be a fantastic installment to an already great series. Upon launch, it appears the game will be free to download, so prepare yourself for a few IAPs. London*, UK — December 19, 2013 — Cut the Rope 2: Om Nom’sUnexpected Adventure™ arrives today as an iOS exclusive for iPhone, iPod touch and iPad, delivering 120 levels of rope-cutting and candy-collecting fun. The sequel to the physics-based phenomenon takes Om Nom® out of the box and into the world for the first time, introducing five new locations and characters, each with unique game mechanics that help Om Nom in his pursuit of candy. The new characters interact with Om Nom and their surroundings, creating a totally new experience for Cut the Rope®,* one of the most successful and beloved mobile gaming franchises. For the first time, players can move Om Nom around on the screen with thehelp of Nommies and various gameplay elements. Players can also collectitems to access secret levels, use power-ups such as balloons and candyrain, and customise their game by selecting different types of candy andnew accessories for Om Nom. YouTube http://www.youtube.com/watch?v=Mq4sd5OKYxU and stay tuned formore episodes in the coming weeks. Fans who want to discover more great mobile content can now access allZeptoLab® apps for iOS in one place. 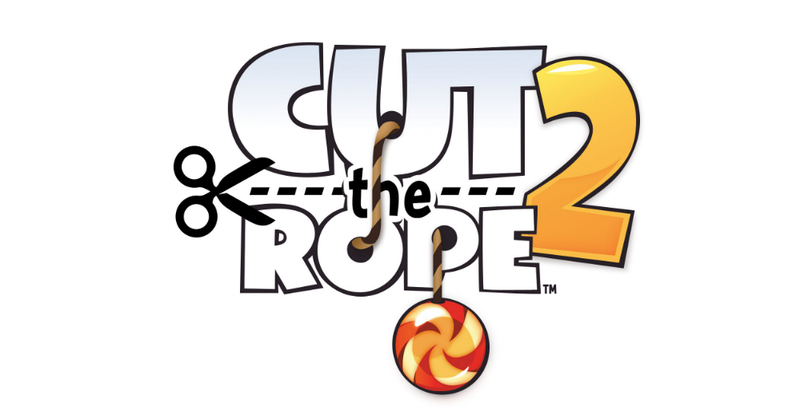 Today, alongside the release of Cutthe Rope 2, ZeptoLab unveils a dedicated page in the Apple App Store,AppStore.com/ZeptoLab. Cut the Rope 2 is currently available for 69p as a universal app for iPhone, iPod touch and iPad, and will be available as a free-to-play game on Android early next year.